Provide start-up funds for women in refugee camps and in developing countries so they can set up knitting businesses selling their output to others. 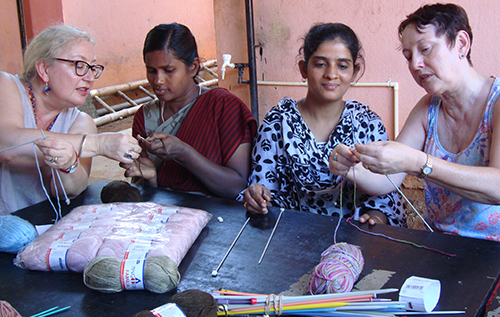 We have Knit for Peace groups in Rwanda, South Africa, India and in refugee camps for Syrian and Iraqi refugees enabling them to knit for themselves and others. This generates much needed income and helps overcome trauma and feelings of helplessness. And even more on the Good Gifts website!